Coffee Fact of the Week: Our Blend, a photo by Knot Pretzels on Flickr. 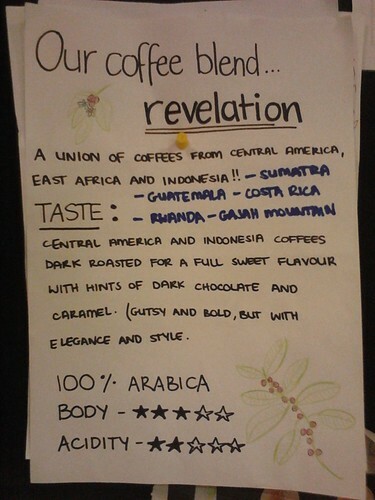 Check out our newest fact from Stef – it’s all about Revelation, our Union Roasted espresso blend used for all our coffees except the filter (that’s a Union Roasted too, but it’s a single origin blend from Brazil! ).